“Morning Joe” host Joe Scarborough thinks Americans are better off if Donald Trump keeps watching Fox News — really. Scarborough was referring to a recent Vice News report that Trump receives folders filled with positive news about himself twice a day. “The folders are filled with screenshots of positive cable news chyrons… sometimes just pictures of Trump on TV looking powerful,” Vice reported. 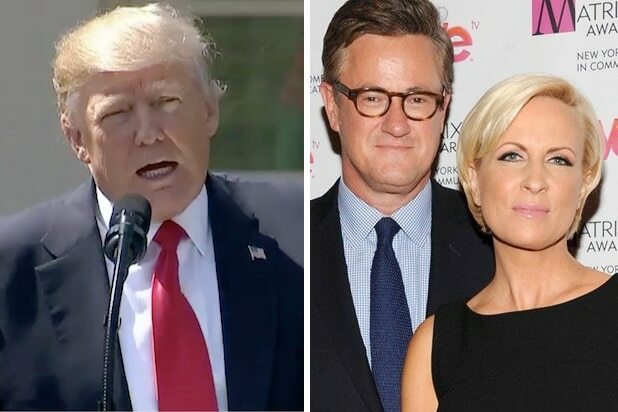 Guest Mike Barnicle mocked Trump, pretending to hand Scarborough a stack of papers that included positive stories about “Morning Joe” and photos in which his hair looks nice. “I don’t understand how you have an accurate view of the world if everything that is sent to you is filtered,” Scarborough said.